Christianity, the Bible and science. -Nicholas Copernicus 1473-1543 Astronomer, proposed the scientific theory of a sun-centred solar system. showed the non-fixity of the universe. method, Lord Chancellor of England. ‘gal’ geophysical unit named after him. tracking stars, contributed to the development of calculus. deciphering of Egyptian hieroglyphics & the germ theory of disease. his protégés formed the Royal Society. president of the Royal College of Physicians. helped found the science of statistics & also economics. introduced the litmus test, actively opposed alchemy. authority of his day on botany & zoology. Cambridge, taught maths to Isaac Newton. recorder, one of the founders of the Royal Society. -Thomas Burnet 1635-1715 Geologists, one of the first geologists. Philosophical Society, president of Harvard. -Nehemiah Grew1641-1712Physician, botanist, plant anatomy researcher, member of the Royal Society. Conservation of Energy and Boolean logic. -William Derham 1657-1735 Naturalist, Boyle lecturer, some consider him the ‘father’ of ecology. the germ cause of smallpox, helped rid the USA of smallpox. Museum, Professor of Medicine at Gresham College (London). 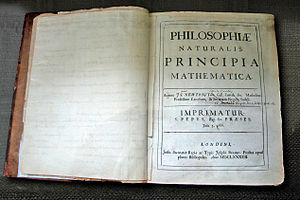 -William Whiston 1667-1752 Mathematician, succeeded Sir Isaac Newton as Professor of Mathematics at Cambridge. cure for venereal disease, introduced the symbols for male/female. Trustee of the British Museum. ‘geology’, invented the mercury thermometer & the hygrometer. -Richard Kirwan 1727-1817 Chemist, mineralogist, president of the Royal Irish Academy, produced the first systematic study of minerals. disease, first to show the plant origin of coal. Habits and Instincts of Animals” (subtitle). -Jedidiah Morse 1761-1826 Geographer, the leading USA geographer of his time, wrote the first USA geography textbook. Pennsylvania university, wrote the first USA botany textbook. Imperial University (Paris), member of the Royal Society. -Charles Bell 1774-1842 Surgeon, anatomist, discovered the fundamentals of nerves, ‘father’ of neurophysiology, Professor of Comparative Anatomy at the Royal College of Surgeons. medical uses of laughing gas, lecturer at the Royal Institution. American Geologists, member of the National Academy of Sciences. Physiology at the Royal Institution, secretary of the Royal Society. -Adam Sedgwick 1785-1873 Geologist, Professor of Geology at Cambridge, identified and named major rock systems. successor to Humphrey Davy at the Royal Institution. Society, Professor of Mathematics at Cambridge. arts professor at New York University. photograph, coined the terms ‘snapshot’ & ‘negative’. ichnology, state geologist for both Vermont & Massachusetts. the Advancement of Science, the Henry unit named after him. Virginia Military Institute, known as “the pathfinder of the seas”. Zoology at Harvard, biology lecturer at Harvard. the coal fields ofUK &USA. the British Meteorological Society, & the Aeronautical Society. British minister in Persia, member of the Council of India. chloroform, Professor of Obstetric Medicine atEdinburgh. -Charles Piazzi Smyth 1819-1900 Astronomer,Edinburgh professor. -Sir John William Dawson 1820-1899 Geologist, investigated & documented the geology of Canada, first president of the Royal Society of Canada, president of the American Association for the Advancement of Science. Legion of Honour, opposed spontaneous generation. Physics at Glasgow, Fellow of the Royal Society. -Bernhard Riemann 1826-1866 Mathematician, developed the concept of Non-Euclidean geometry, originated Riemannian geometry which was used by Einstein to develop his theory of General Relativity. Advancement of Science, Professor of Surgery at Glasgow. Professor of Experimental Physics at Cambridge. Cambridge, won the Nobel Prize for Physics. at Oxford, expert on Hittites and Assyrians. Society, Fellow of the Royal Society. -Edward H. Maunder 1851-1928 Astronomer, solar astronomer, president of the British Astronomical Association. -Howard A. Kelly 1858-1943 Physician, surgeon, Professor of Gynaecology & Obstetrics at John Hopkins University. -Wilbur Wright 1867-1912 Inventor, first powered flight. of France, Director of the Natural History Museum in Paris. -A. Rendle Short 1885-1955 Physician, Professor of Surgery at Bristol. -Dr L. Merson Davies 1885-1955 Geologist, palaeontologist. London, president of the Royal College of Surgeons. Love this Tim. Was unaware, tkx for bringing it here. EDIT ERASE FOLLOWING CAUSTIC DEPRAVITY NOT WELCOME AT THIS SITE- And I will add with full confidence, Einstein could never in a thousand years write the epistle to the Romans, which is a masterpiece of truth and logic, far more important than any quantum physics. He should be so humbled. Whoever you are, you may want to read up on Einstein. Try Jacobson’s biography, “Einstein”. The man had some truly amazing insights re time/space and gravity, but he spent his last 30 years trying in vain to devise a mathematical formula that would encompass and explain Newtonian, relativistic, and quantum science. Let’s keep scientists in perspective. We don’t want to raise them above strictly human dimensions – even as people of out time elevate performers and sports figures…and peoples of old invented gods of all types.